Light Emitting Diodes, or LEDs, continue to capture an increasingly larger percentage of market share and for good reasons. More properties in the DC metro area discover the benefits of these tiny solid-state light sources made from semiconductor material that convert electrical energy into visible light without using a filament. LEDs are the most advanced and energy efficient of any lighting technology available today. 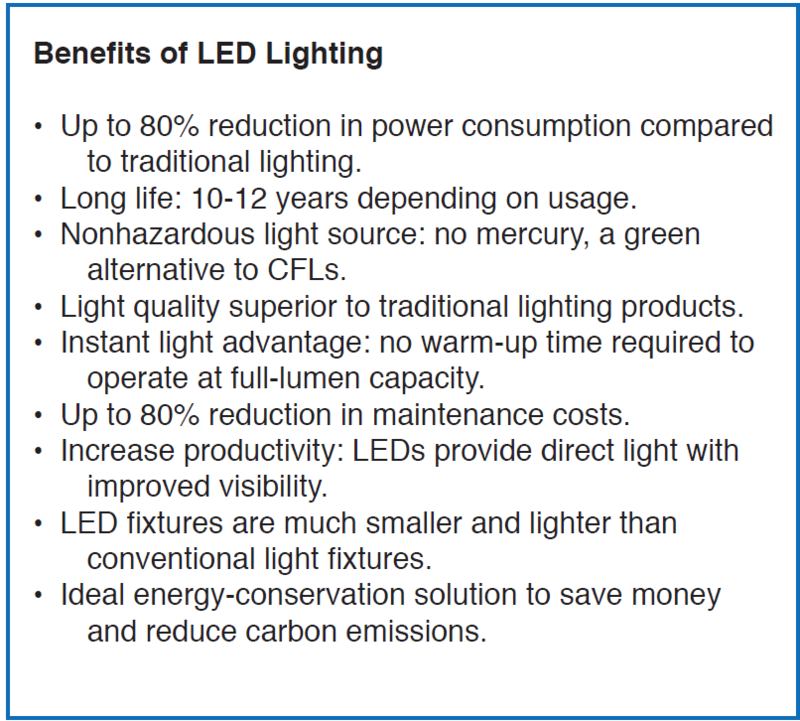 LEDs maintain brightness for up to 100,000+ hours and can last 10-15 years depending on usage. If you believe that this technology is too new or too expensive to consider for your properties, let us show you empirical evidence that dispels those beliefs. Our company has worked with many properties in the national capital area and can attest to real success stories that resulted in lower energy consumption and savings from switching to LEDs. 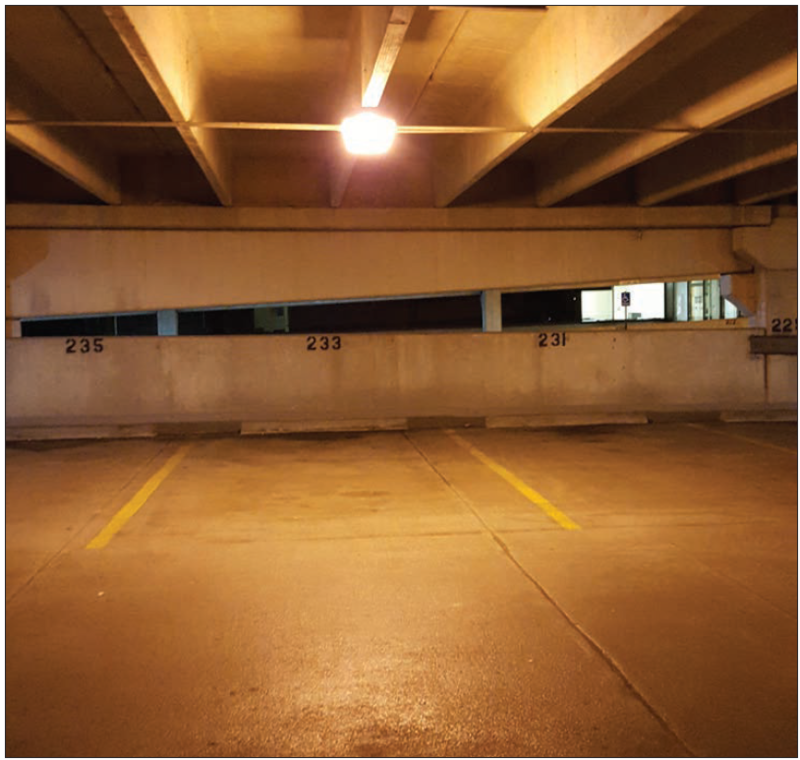 In one project, the property retrofitted a 30,000 sq ft area that included a parking garage within the facility and an exterior parking lot to make lighting more energy-efficient. The existing lighting fixtures were typical for garage and parking-lot applications in our area. They consisted of fluorescent T8s in the parking garage and of metal-halide flood lights in the parking lot. 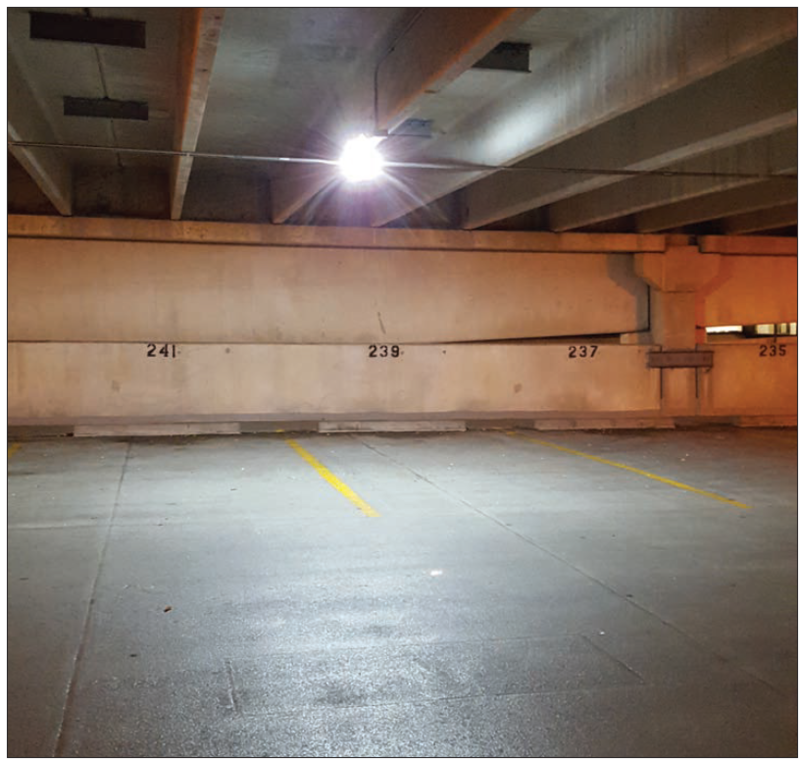 All the existing fixtures were retrofitted with corresponding LED replacements: the 18-watt LED T8s replaced the fluorescent 32-watt T8s (4 ft linear tubes), and LED wall packs or pole-mounted fixtures were installed to replace the metal halides. programmed to operate at full capacity, stay at full power for 5 minutes and then dim again. 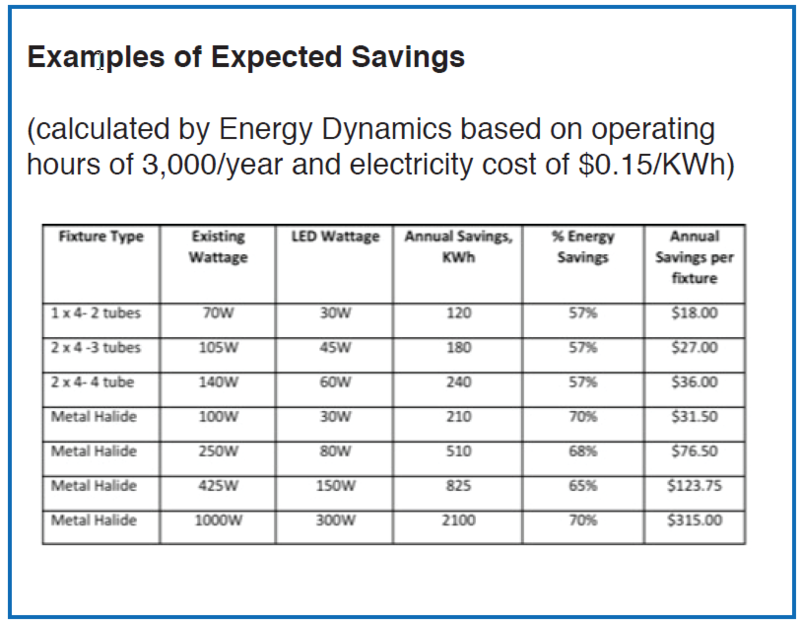 sensors provided additional savings of 10% from the original power consumption. of more than 40%. And the savings and greater energy efficiency are not the only benefits: LEDs provide brighter, cleaner, higher-quality, equally distributed light. This is especially noticeable in garage applications where a spotty, blotchy light from fluorescent fixtures cannot compare to the improved visibility achieved with LEDs. Overall, it is hard to deny the value you can bring to your property by using LED lighting. This value can be even higher if your property takes advantage of energy-related cash-incentive programs in your state. These programs were developed to promote energy conservation efforts and energy-saving technologies. Many of them are managed in partnerships with local utilities and subsidize projects to upgrade existing lighting to LEDs. 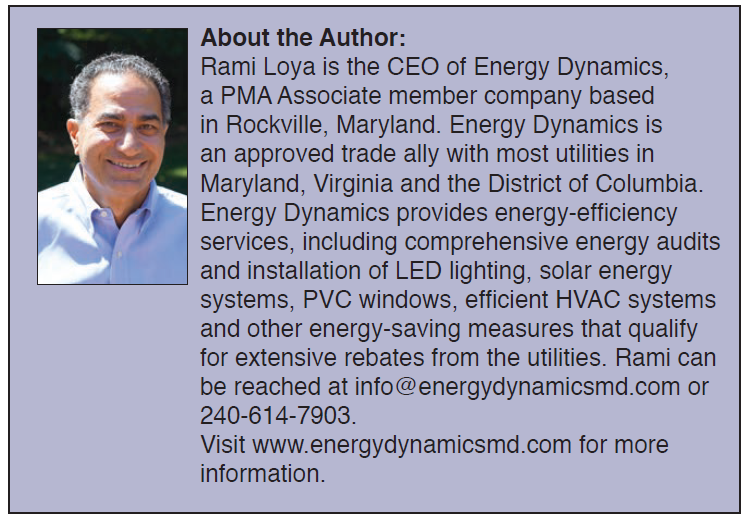 The EmPOWER Maryland Energy Efficiency Act of 2008, for example, offers attractive incentives, and similar programs are available in Virginia and DC. In our experience, cash incentive programs contribute 20-80 percent of the cost of a project depending on the utility and the type of fixtures being replaced. If you look for lowhanging fruit in energy efficiency, LEDs might be a wise choice. This entry was posted in Latest News on April 10, 2017 by Rami Loya.